The search for preschools in Singapore can be easier with our schedule as parents getting busier each day. Every ideal school we wish to enroll our children in has over flowing waiting list. Hunting down the right school for our kids nearest to our homes can be a pain. We have to arrange for visits after visits to tour short listed schools, discuss with our spouses over the perfect one for our kids. We need to compare teacher to children ratio, location, environment, programs offered and not forgetting our budget to pay for school fees. Most importantly, how do we know which schools have programs to teach our children the values we want them to learn? Our Mission Is Simple: Make Finding the Right Preschools Nearest to You Faster and Easier. Calling every preschool one by one to find out if it’s near your home, make a visit or put your child’s name down on the wait list is too much of a hassle. What if you can do it all at once with just a click of a button? What if you can take a virtual tour of every preschool and find out if you can use CDA to pay for your child’s school fees all at one place? We want to make this happen for every parent working so hard to find the right preschool for your child. Besides working towards being the largest preschool directory in Singapore, we wish to allow every Singaporean parent to be well-informed as much as possible about what every preschool offers. We do the heavy duty work of researching every preschool at every corner of the island. At the same time, we encourage and ensure accurate reviews of as many schools as possible experienced by parents and families. Our Vision Is Beyond Your Child’s Preschool Years: Providing You the Right Tips and Support to Survive Parenting and Education in Singapore. If you’re just getting started with your little toddler, it’s entirely free for anyone to research here on Preschool Singapore You can do this right now and ease your time and effort for the best of your children and your own life. Just click, click and you are done! 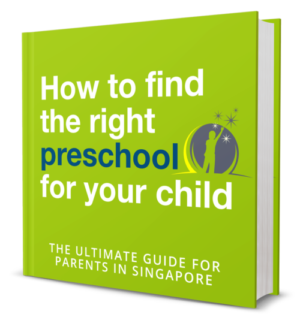 If you want to know how to choose the right preschool for your child, we have created Singapore’s #1 guide to help you with that. Sign up for the free guide and receive regular parenting tips by clicking the button below.